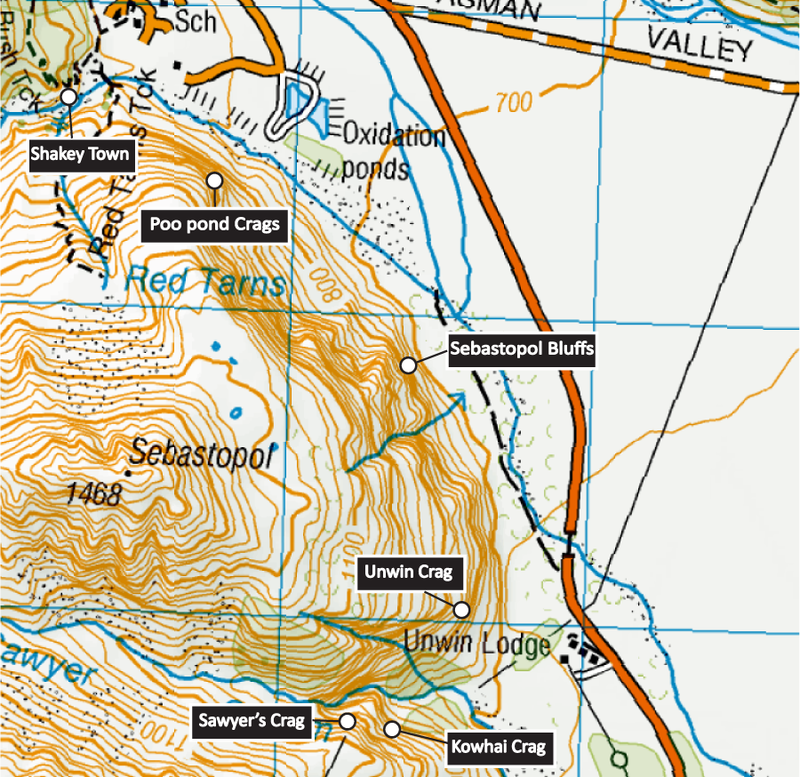 Sebastapol Bluffs are located in close proximity to the NZAC Unwin Lodge. Most of the best quality lines are the bolted slab routes; the quality of rock on the crack climbs can be variable. The best place to start and orient yourself with the crag is the Twin Cracks Wall. Alpine Guides have produced a brochure which is a helpful source of information, availible from Alpine guides at the Mt Cook village or Unwin Hut. 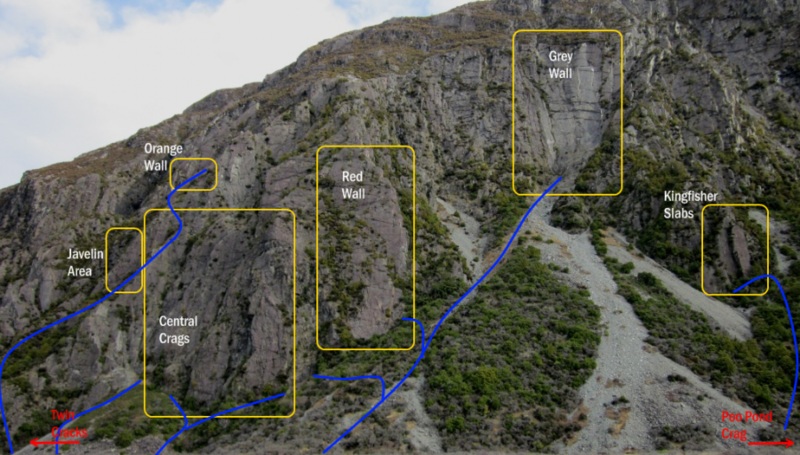 Other crags in the vicinity - Kowhai Crag, Unwin Crag, and Shakey Town have been included under Sebastopol so that climbers visiting the area don't miss them. The cliffs are located on the west side of state highway 80, between Unwin Lodge and Mount Cook Village. Specific directions are under each crag if appropriate. For most of the Sebastopol climbs park at the 3rd pull out on the left after leaving Unwin Lodge (approx 1km). There is a DoC sign there and the main track starts from there, leads across the river bed then splits in various directions. Alternatively it's about 10-15 mins flat walk from Unwin along the old 4Wd track. This may be impassable after heavy rain.